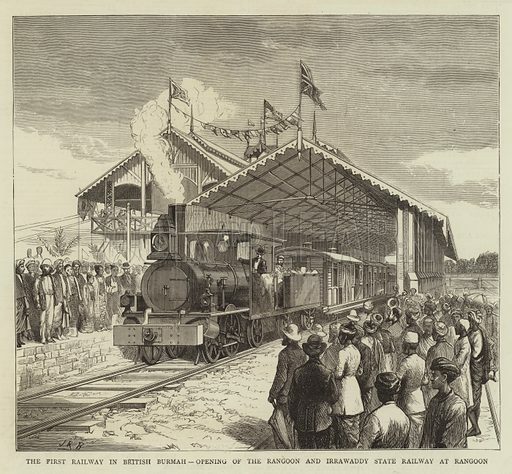 The First Railway in British Burmah, Opening of the Rangoon and Irrawaddy State Railway at Rangoon. Illustration for The Graphic, 23 June 1877. Available worldwide for immediate download up to 5,598 x 5,180 pixels.